A 19-year old teenager from Texas is facing anywhere between 5 years to life in prison for baking and selling pot brownies. Authorities arrested the teen on April 15 after a search of his apartment revealed six bags of cookies, nine bags of brownies, a pound of marijuana and $1675 in cash. Although his criminal defense attorney claims the offense should be classified as a misdemeanor, Texas laws are harsher in its punishment of crimes involving THC, the active ingredient in marijuana. 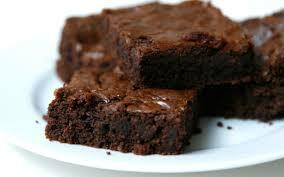 The reason for the tough penalty is due to the boy using hash oil in making the brownies. Hash oil is classified differently from marijuana as a “Penalty 2” controlled substance. This allows authorities to use the weight of the entire batch of brownies (including sugar, flour, etc.) as the weight of the drug sold. The boy’s father thinks the punishment certainly does not fit the crime. “This is illogical. I’m really upset, and I’m frightened, I’m frightened for my son” he is quoted as saying. Marijuana advocates also agree that the possible prison sentence for this offense outranks both sexual assault and aggravated assault with a deadly weapon. The teen was released on May 7 on a $30,000 bond. His next court appearance is scheduled for June 19. If you or a loved one is charged with drug possession or sales, call Orange County criminal lawyer Staycie R. Sena immediately for a free consultation at (949) 477-8088.